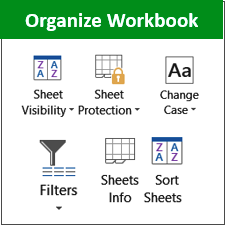 Time-saving tools help you manage an Excel dashboard workbook. Time-saving tools help you manage an Excel dashboard workbook. Quickly protect or hide multiple sheets, change case of text, create an instant backup file, and much more.